It was such a lovely day for pictures and quite warm, however, it is become cooler and cooler each day. We are officially transitioning from summer, vacations, warm days flowers to fall. 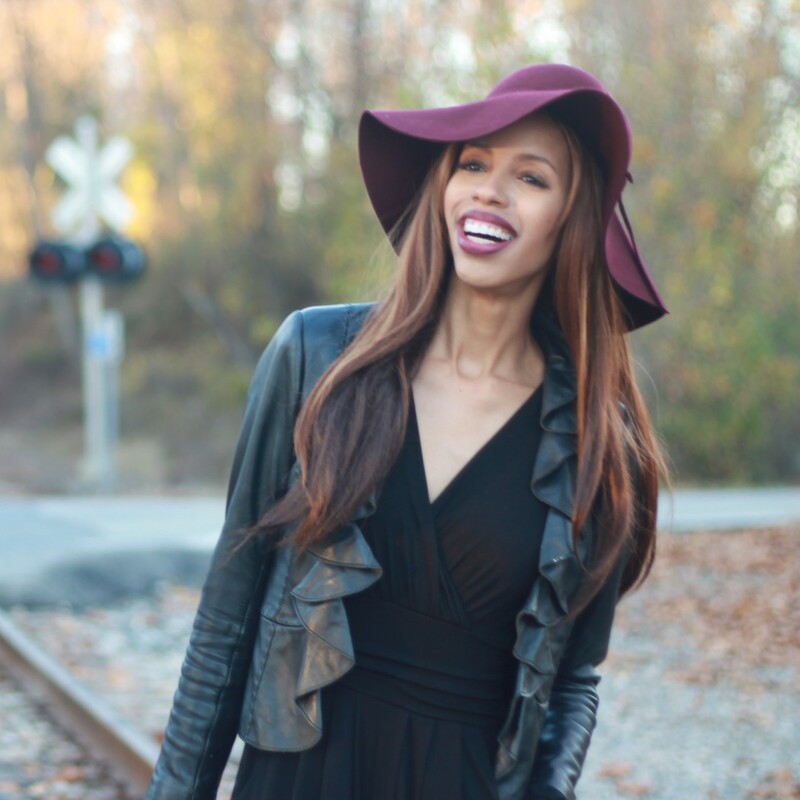 I do not want the summer to end, but I am looking forward to fall fashion! School started again (for teachers) yesterday, so I will be beginning the transition. In the meantime, I will have a few more sunny fashions to share with you! 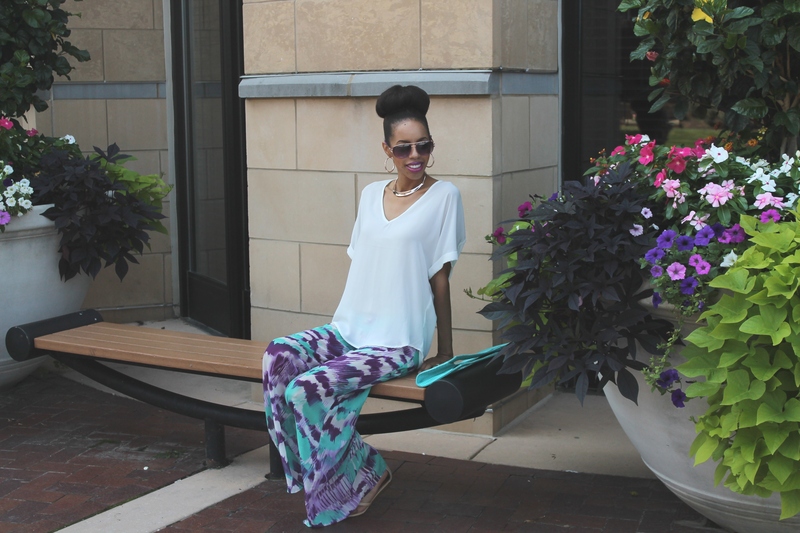 Top: Francesca’s. 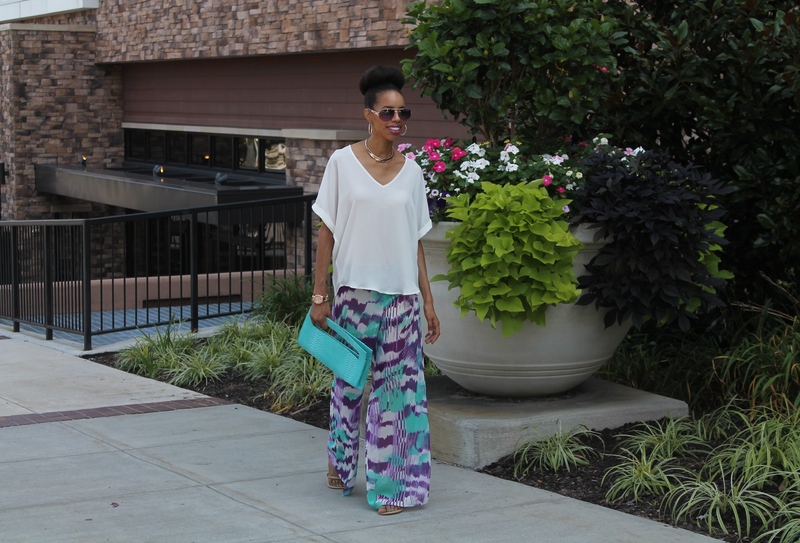 Palazzo Pants: Primrose Boutiq. 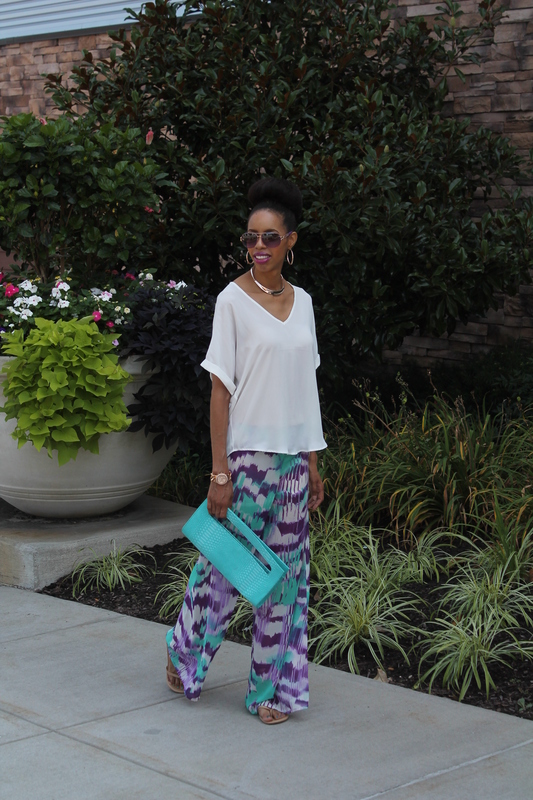 Clutch: ShoeDazzle. 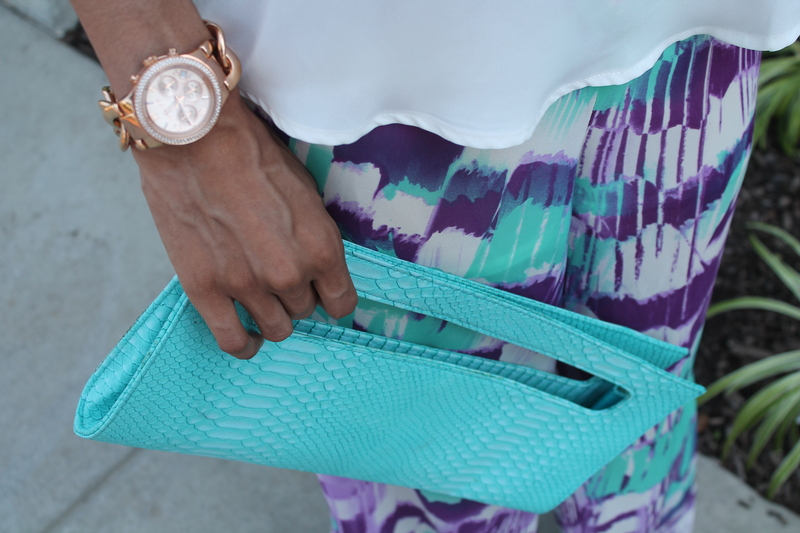 Watch: Michael Kors. 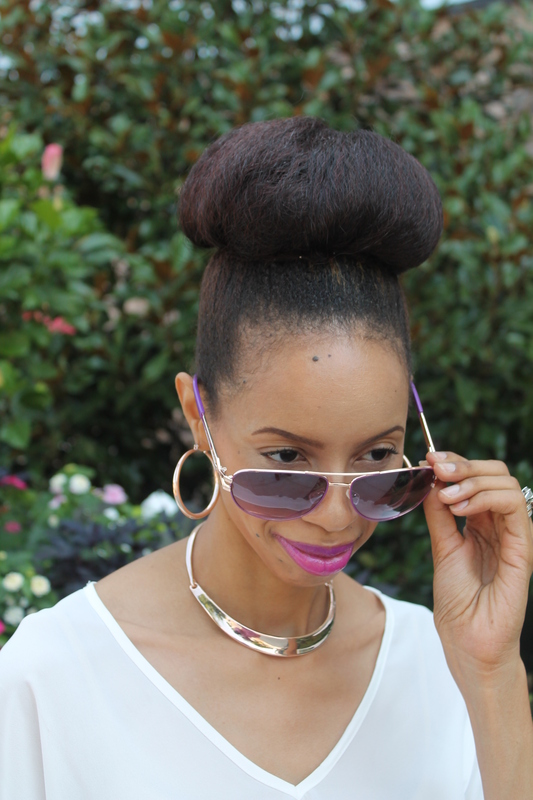 Jewelry& Sunnies: Macy’s. Hair: Zarah Charm. 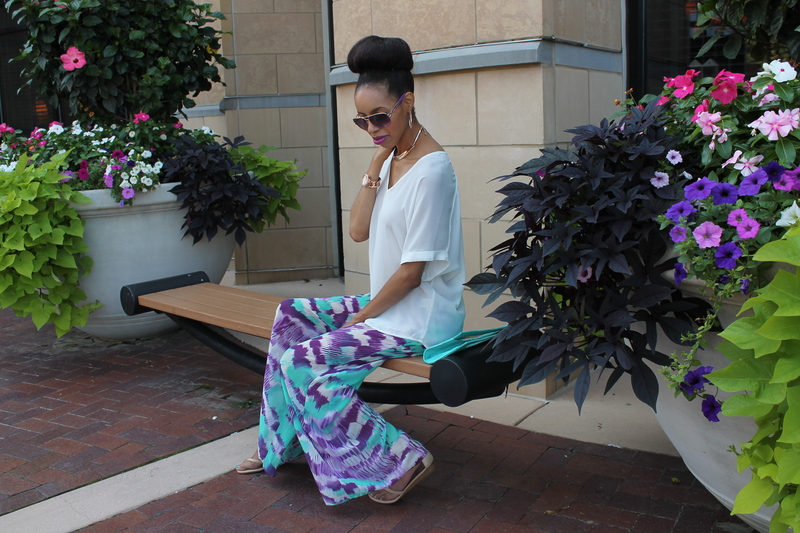 This entry was posted on August 20, 2014 by LaQuisha Hall in Casual Wear, OOTD.